Unseasonably warm weather in much of the U.S. meant that roads were clean and dry when they would ordinarily be snowy, icy, and slippery. 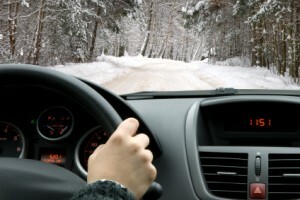 Now that winter storms are rolling into New Hampshire and other New England states, however, the New Hampshire Department of Transportation (NHDOT) is encouraging drivers to take caution to avoid car accidents. Slow down. Ice, snow, sleet, and freezing rain can all make roads treacherous. While four-wheel drive can help you get through deep snow, it will not slow your vehicle down or prevent you from skidding if you hit a patch of ice or slush too quickly. Watch out for rescue workers. Police, firefighters, and other workers are busy checking on those who crash or slide off the road in winter weather. Keep an eye out for these workers and avoid driver distractions, like using a cell phone or eating, while you are driving. Pay attention to snowplows. After a snowfall, state and local workers start clearing the roads for drivers. Give snowplows plenty of room. Also, keep an eye out for“tandem snowplowing,” in which multiple trucks work together to clear multiple lanes at once. Remember that snowplow drivers cannot maneuver as quickly as passenger vehicles, so give them plenty of space. At Tenn And Tenn, P.A., our experienced New Hampshire auto accident attorneys are dedicated to helping those who are injured in a crash. To learn more about your legal rights and options after an accident, call us today at (603) 624-3700 for a free telephone consultation.